When the first Belgian Country Jersey was released, I had only recently discovered the brand. Once I finally pulled the trigger on one of Rapha’s jerseys, the Flandrian tricolore was no longer an option. Tragically (yes tragically), each time I encountered the colors, whether on the net or in person, I would cringe due to the unbearable longing I’d suffer. Yeah, I know it’s just a thing. But those colors are saturated with decades of cycling history and emotion. So when Rapha re-released the colorway, albeit in a different form and placement, I found myself once again longing. Melodramatics aside, I consider myself lucky Rapha decided to send one my way. Here’s my first look. 1/4 zip and merino-rich, the Long Sleeve Country Jersey is a layerable addition to your winter wardrobe. The weight is definitely heavier than the summer version, but not as robust as their Winter Jersey. Not satisfied with simply regurgitating copy, I dug a bit deeper to discover the true genesis of this piece. 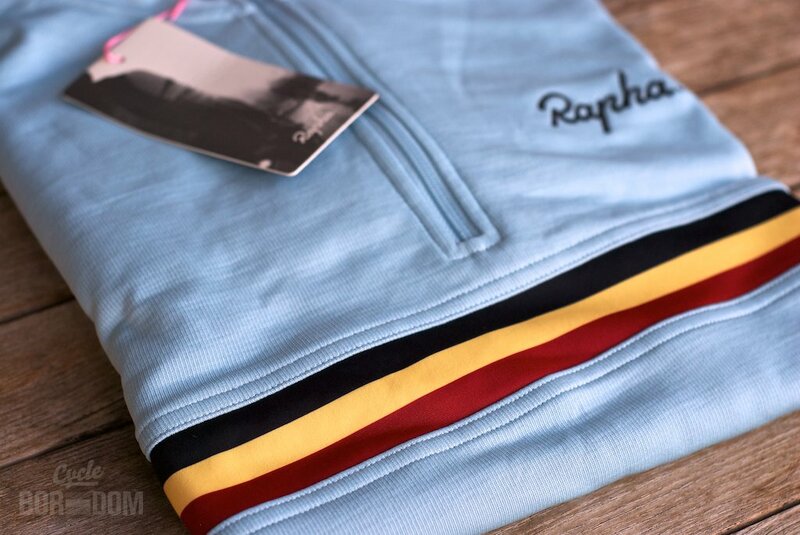 Crafted from the sweat-stained jerseys of Flandrian champions past and cobble-washed for true Euro flavor, the RLSCJ is your ticket to Classics greatness and a lifetime supply of Dirk Hofman Motorhomes. As usual, there are details. Also notice the angled cut of the cuff. Perfect for dipping frites in mayonaise (or the ketchup you smuggled into the country) without soiling your blues. 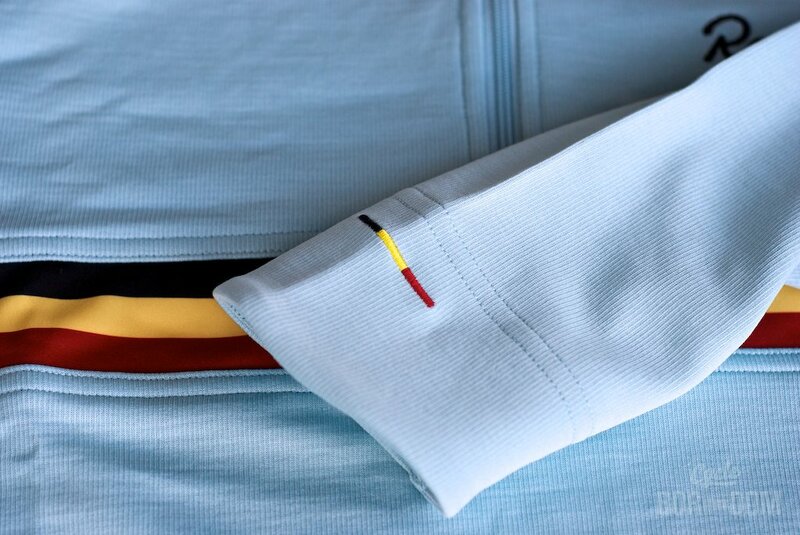 The traditional Rapha rear pocket also receives a Flandrian splash. 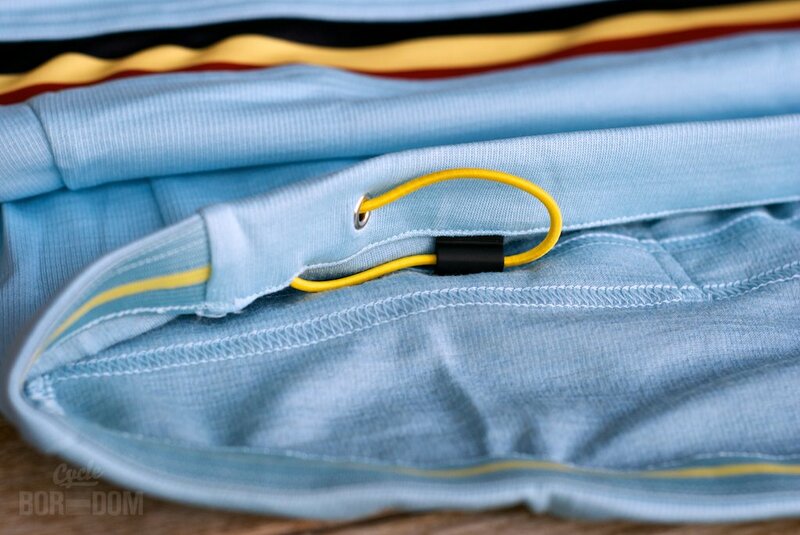 Storage is ample for the longer training rides of dark days of winter. Color coordinated even in the hidden areas. Always thoughtful appointments. 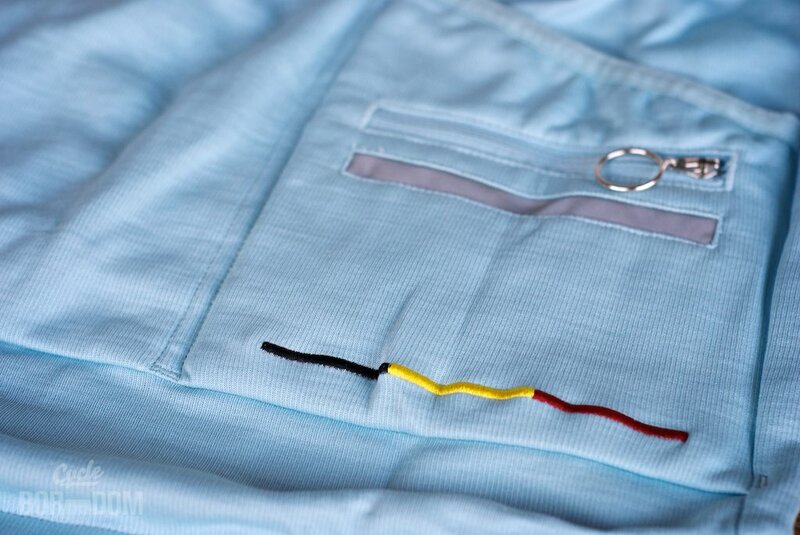 Mrs. Boredom herself remarked at the simple beauty of the yellow stripe within the gripper band. Mrs. B gets it. Can’t wait for the final days of short sleeve weather to give way to the need for full coverage. Expect a full review in the coming months.